The highest and most prestigious award given by the Alumni Association, the Alumni Medallion recognizes outstanding alumni for commitment, dedication and assistance to William & Mary; exemplary accomplishments in their professional lives; and leadership in civic engagement in their communities, states or nations. The award reflects the honor that recipients bring to the university and its alumni through their actions and contributions. The Alumni Medallion awards will be bestowed during Charter Day Weekend, on Feb. 9, 2019, at 10 a.m. in the Sadler Center’s Commonwealth Auditorium. 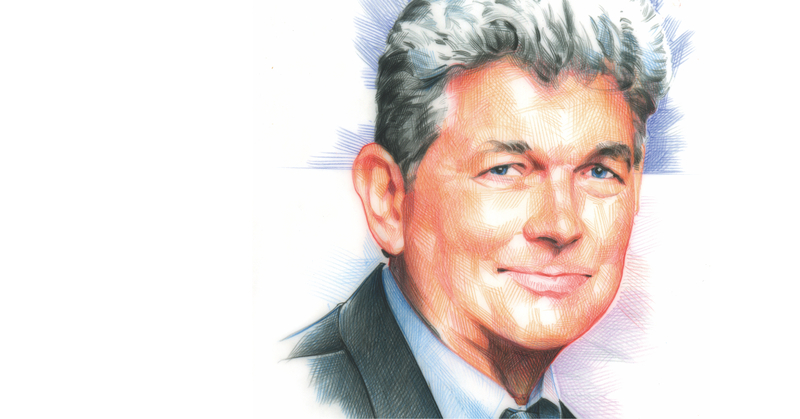 Craig Broderick won’t tell you about his many accomplishments — but he has countless reasons to be proud of what he has contributed to his industry, his community and his alma mater. 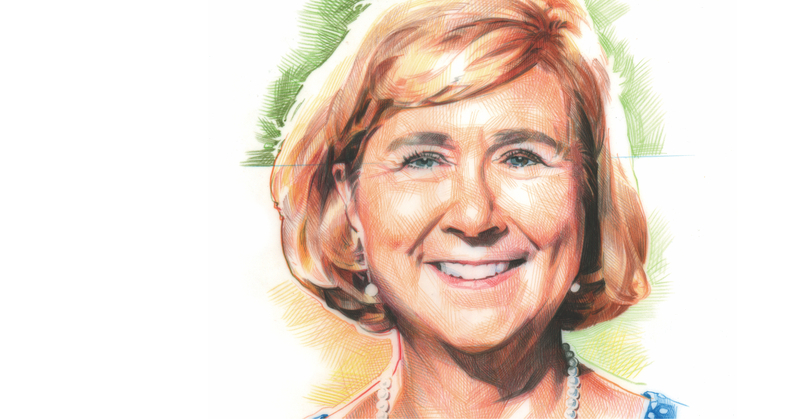 Broderick helped carefully grow the William & Mary Foundation’s endowment significantly for nearly a decade as chair of the Foundation’s investment committee, setting the university’s financial direction with keen insights and quiet leadership. He also contributed his time and talents to the board’s audit, trusteeship and executive committees and currently serves on the New York Regional Campaign Committee. 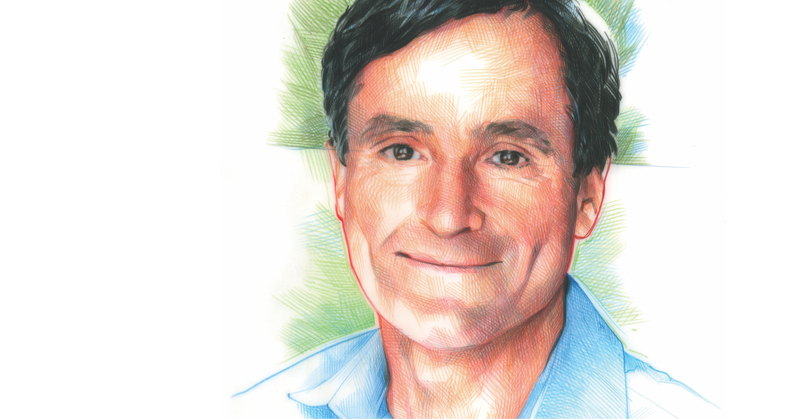 The expertise he brings to William & Mary was honed over more than 30 years at Goldman Sachs, from which he retired in January 2018 as the longest tenured chief risk officer in the industry. His guidance of Goldman Sachs through the Great Recession was partly why, in 2014, he was named to the management committee, the first time in the firm’s 145-year history the chief risk officer has been part of this elite group. While at Goldman Sachs, he made it his personal mission to hire talented and qualified William & Mary students and alumni. He also hosted students at Goldman Sachs’ New York City headquarters on numerous occasions and in their Singapore offices in 2005 as part of the Global Immersion Program at the Raymond A. Mason School of Business. 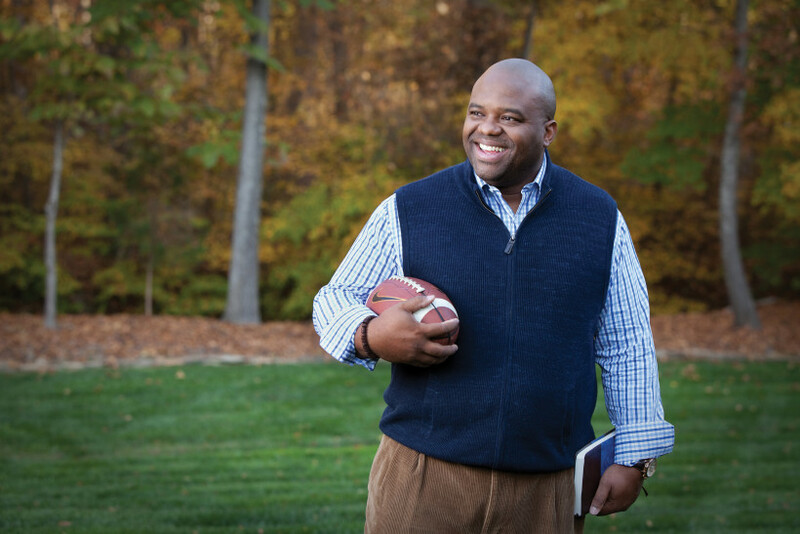 He has been a keynote speaker and panelist in the business school’s DoG St. to Wall St. program, and in fall 2016, business students in the Howard J. Busbee Finance Academy selected him to receive their Annual Alumni Award for his career accomplishments and guidance of William & Mary students. Broderick also supports educational opportunities and teaching excellence at William & Mary through endowed scholarships and professorships. He has encouraged others to contribute to this cause, sponsoring two successful challenge grants that created $2 million in scholarships. In his community, Broderick served as a role model for young men as an assistant scoutmaster for his two sons’ Boy Scout troop. He led the troop on two High Adventure Base trips as well as providing daily guidance and mentorship. He also participates in hands-on land stewardship and habitat restoration as a volunteer at his local Audubon Center in Connecticut and with the Greenwich Land Trust. Nancy Gofus never met a stranger. She loved connecting people to each other and William & Mary, sharing her love for alma mater with all. She was authentic, inquisitive and always found ways to make positive change for individuals and organizations. When she passed away in 2017, the William & Mary community lost a beloved member of the Tribe family. After graduating from William & Mary Phi Beta Kappa with a degree in government, Gofus’s vision, determination and unique insights into the market enabled her to rise quickly in the senior executive ranks of the telecommunications industry. 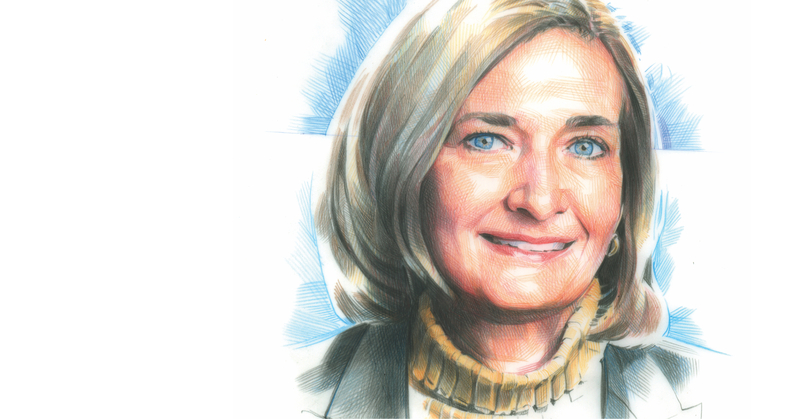 Upon her retirement in 2013, Gofus became chair of Volunteers of America’s national board of directors, launching its first ever brand campaign and leading the organization through a time of transition. She then served as chair of the William & Mary Foundation, and under her dynamic and thoughtful leadership the Foundation was recognized with the Nason Award for Board Leadership from the Association of Governing Boards. As a charter member of the Society of 1918, she enthusiastically supported giving by and for women at William & Mary. Gofus was a first-generation college student, as is her husband Joe Gofus HON ’18. Their passion for providing opportunities for deserving students to succeed led the Gofuses to endow William & Mary’s Spirit Scholarship and the First Generation Scholarship. Nancy particularly loved interacting with and mentoring students. After speaking to government students on life after William & Mary, she established the Baxter Ward Visiting Scholars Endowment to bring in former government majors to speak with students. For the 100th commemoration of coeducation at the university, she championed the Oral History Project to record the stories of generations of William & Mary women. Her passion for alma mater inspired others each step of the way. Dr. Cynthia Casson Morton is on the forefront of medical science. Her life’s work on the genetic causes of cancer, uterine fibroids, developmental disorders and deafness is changing the way the medical community views these conditions. 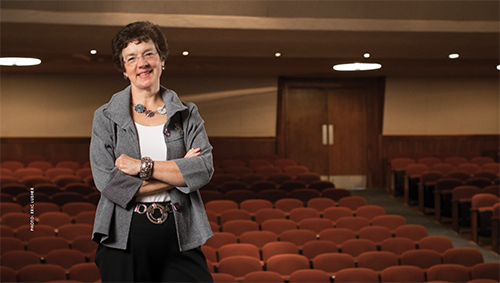 Her service to humankind through her research and teaching is undeniable — and through it all, Morton has actively served her community and her alma mater with dedication and care. Morton is the principal investigator and director of the Morton Laboratory, part of the Brigham and Women’s Hospital in Boston, where she is the director of cytogenetics and Kenneth J. Ryan, M.D. Distinguished Chair in Obstetrics and Gynecology, and the Harvard Medical School, where she is the William Lambert Richardson Professor of Obstetrics, Gynecology and Reproductive Biology and professor of pathology. She is also chair in Auditory Genetics at the University of Manchester in the United Kingdom. Her lab is an innovative and vibrant environment for researchers, graduate students and postdoctoral fellows to become leaders in their fields. She’s published more than 300 peer-reviewed papers, many in top-tier journals, and received international accolades. She was elected the 2014 president of the American Society of Human Genetics, was chair of the Board of Regents of the National Library of Medicine and has served on many other boards including the American Board of Medical Genetics. At William & Mary, Morton shares her expertise with the Graduate Studies Advisory Board, which she served as president from 2011 to 2013. The board plays a vital role in advancing the university’s graduate programs in Arts & Sciences. She also has remained involved with Kappa Kappa Gamma, which has remained dear to her since her college days, hosting a Harvard chapter initiation in her home and receiving their 2010 Alumnae Achievement Award. Despite her demanding professional career that involves intense research, teaching, speaking and publishing, Morton has always made time to guide William & Mary students who reach out to her for career advice, especially young women. She mentors and teaches W&M students in her labs, sharing research authorship with them, and makes a point to stay in touch as they continue their careers. In 2016, she opened her home to William & Mary donors and friends for a For the Bold campaign event. Through Morton, many W&M alumni in the Boston area have remained connected with their alma mater. Chris Powers was always asking about what more he could do, even after 50 years of devoted service to William & Mary and his community. That’s just the kind of man Powers was, always thinking of others, willing to lead the way and putting in the work to get things done. Though he passed away suddenly two years ago, he is remembered for his caring and energetic help to all. “In terms of sincerity and devotion through contributions of time, counsel and advocacy, Chris would stop at nothing, big or small, in service to our community,” says Pamela S.B. Wise ’97, who served on William & Mary’s Annual Giving Board with Powers. Powers was a devoted member of the William & Mary community from the moment he set foot on campus as a student in 1969. A loyal fan of W&M Athletics since his days on the basketball team, he attended as many Tribe games as he could around the country, making personal connections with everyone he met and recruiting volunteers. He served on the Alumni Association Board, Annual Giving Board, the D.C. Regional Campaign Committee and the Chicago Alumni Chapter Board, and he especially enjoyed his work gathering his classmates together as part of the Reunion Gift Committee and as a class ambassador. “From fundraising for the class gift to just keeping in contact with a wide swath of our class, Chris was always the glue that held us together,” says Jeff Trammel ’73, former rector of William & Mary, who received the Alumni Medallion in 2017. Powers spent most of his career as a principal at the accounting and consulting firm Miller Cooper & Co., Ltd., where he was an instrumental part of building the firm’s nonprofit practice, advising educational, religious and service organizations and more. He represented Miller Cooper with distinction on several committees for the Illinois CPA Society, as a member of several boards and as a presenter at professional continuing education seminars. After retirement, he became a volunteer jail chaplain at the Juvenile Temporary Detention Center of Cook County and volunteered for the Chicago-based Precious Blood Ministry of Reconciliation. In both roles, he guided young men during and after incarceration. “Chris advocated strongly for the young people and built programs that would enhance their ability to make good choices. He supported youth who were homeless after incarceration and was an overall friend to young men who found themselves very much alone,” says Executive Director Fr. David Kelly. Building close, personal one-on-one connections was his passion.